Callatisro Catering provides appetizing international menus and top class event planning services throughout Los Angeles County. We pride ourselves equally on flexibility and customer satisfaction. Callatisro staff will accommodate any event size, ranging from small meals prepared by a personal chef to large banquets for hundreds of guests. Menu options include hors d’oeuvres tray passing, buffet receptions, corporate lunches, and plated dinners. In addition, our team offers expert staffing and planning services that will enhance any occasion. Our company has been in business since 2016, and our founder brings over a decade of her professional catering expertise to every job. Call us for your next event and you won’t be disappointed with the results! Immigrant-founded and operated, Callatisro Catering provides a first-hand experience of cuisines from around the world. We have been preparing delicious meals throughout Los Angeles since 2016. Our founder, Liana, brings over 15 years of experience in the high-quality food service industry to the table. Her event management skills are second to none and will guarantee you the best in professional service! Our mission is to provide clients with everything they need for a successful event. Planning special occasions for your family, friends or co-workers can be stressful, which is why we work to ensure that all of your bases are covered. From the early stages of planning to the final clean-up, we can work with you to ensure a fantastic event. We price our services to accommodate all budgets. There are no hidden fees or extra charges once an event contract has been set. We welcome you to come try our excellent food and join our growing list of satisfied clientèle! Callatisro Catering can plan for any event size, ranging from intimate dinners to banquets for hundreds of attendees – and everything in between. Out team also provides event planners and managers, decorators, bartending and emcee services alongside our staff to ensure that every aspect of your event is taken care of. 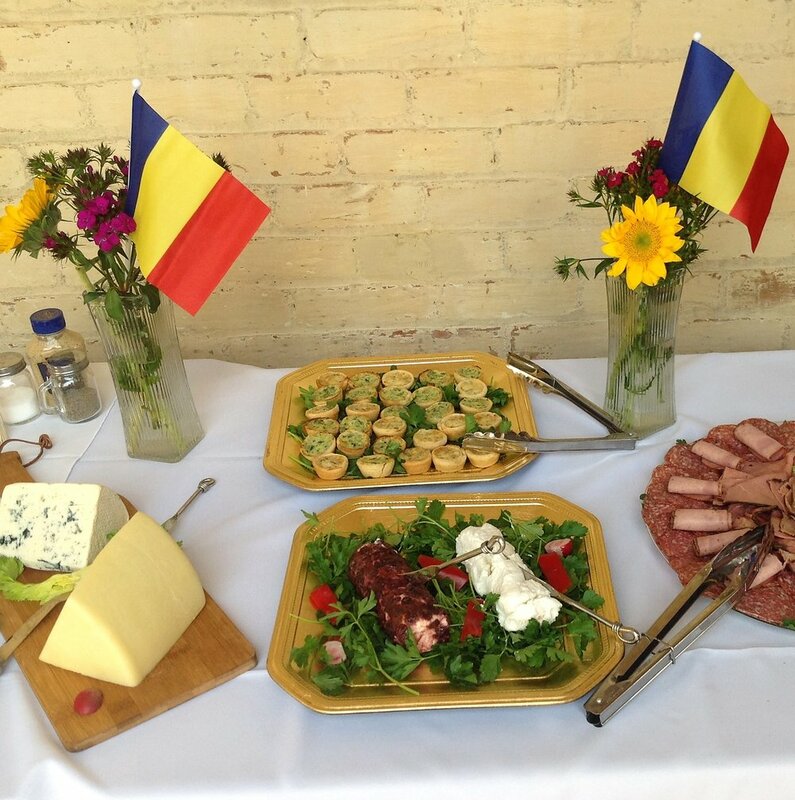 We invite you to learn more about our diverse cuisine for all of your special event needs. Follow us on Facebook for more event photos, recipes and client reviews!